It’s Christmas Eve and Elmo couldn’t be more excited for a visit from Santa and gifts under the tree! To coax the little monster into drifting off to sleep, Elmo’s dad spins him a bedtime story about his great-great-grandmonster, back when Sesame Street was a very different place and everyone was so grouchy Santa didn’t even visit. 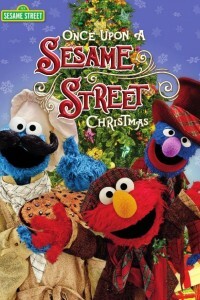 With some help from his friends it is Elmo’s job to bring kindness, holiday cheer, and the spirit of Christmas to Sesame Street. But the question remains, will it be enough for Santa to visit all of the street’s little monsters?